Melt your candyquick according to package directions. Once melted spoon your melted chocolate over 3/4 of the pretzel rods, tapping on side of container to let any excess chocolate drip off. 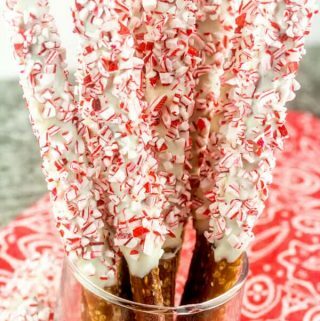 Sprinkle with crushed candy canes and set on wax paper to harden.